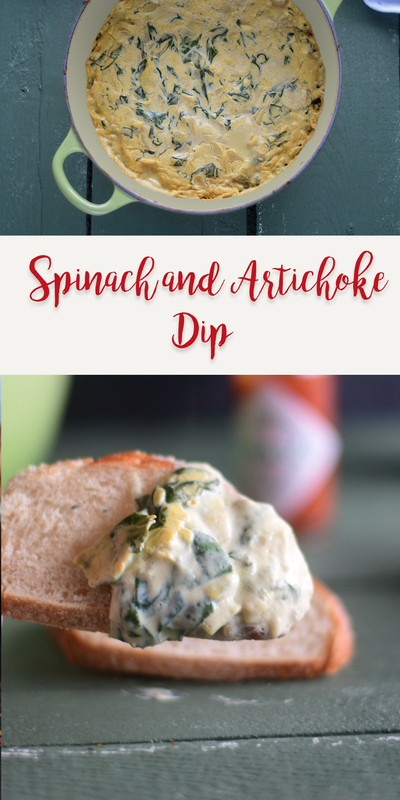 Baked Spinach and Artichoke Dip is perfect for game day entertaining or serving at your next holiday party. 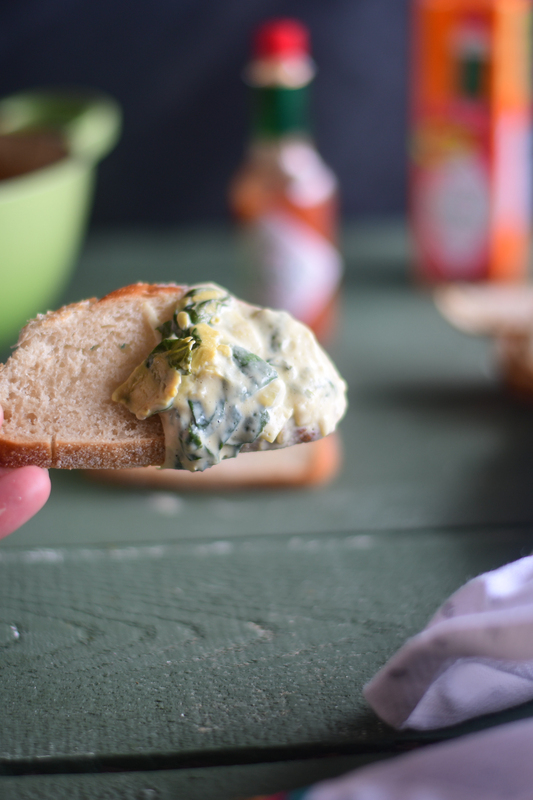 Baked Spinach and Artichoke Dip is always a crowd pleaser. TABASCO® brand Original Red Sauce adds an extra layer of flavor to this creamy dip. The hot sauce adds a touch of heat, which balances out the dip. The hot sauce enhances the dip without without overpowering the dip. 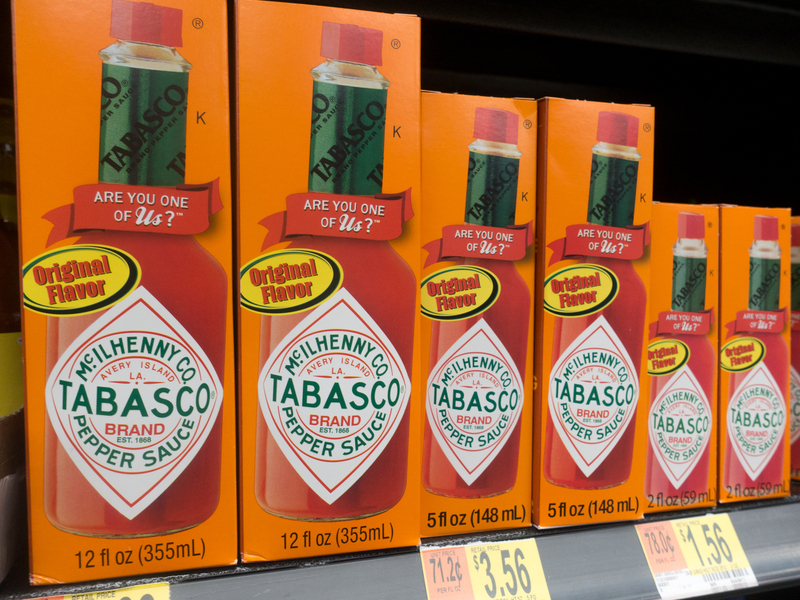 TABASCO® is a brand that my family loves. I love that the red sauce is Non-GMO, Gluten free and has zero calories. This year marks TABASCO® Brand’s 150th anniversary! It is amazing that the company has been around for such a long time. Every bottle comes out of Avery Island, Louisiana. 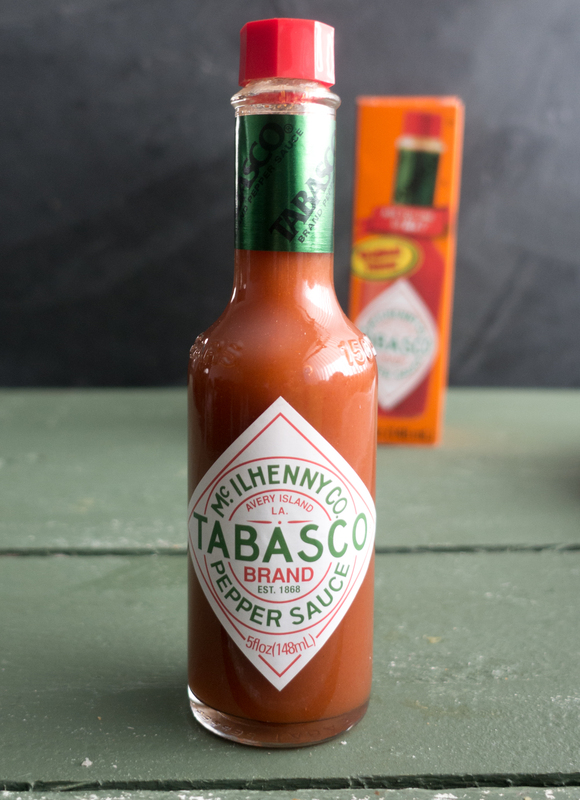 Besides the TABASCO® brand Original Red Sauce, there are two other flavors available: Green Sauce and Chipotle Pepper Sauce. Both are a versatile condiment to have on in hand in your kitchen. 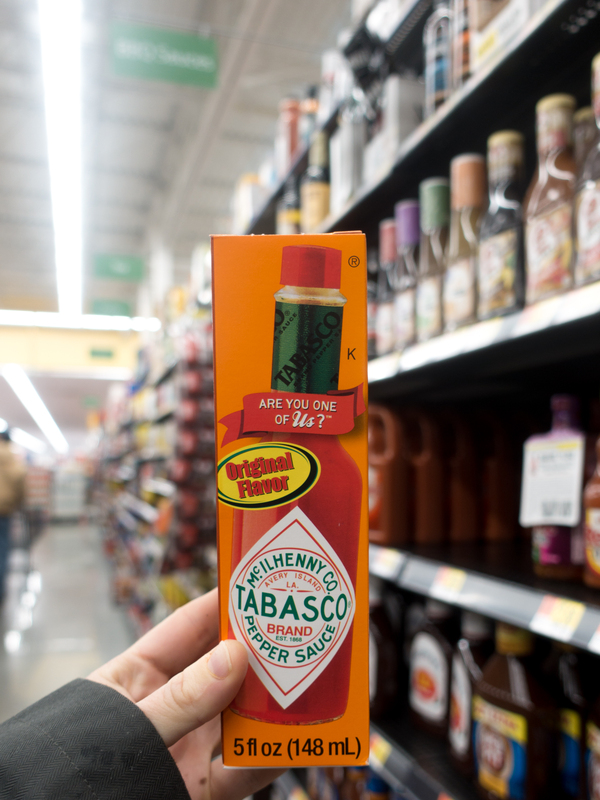 I shop for TABASCO® Brand sauces at my local Walmart. The hot sauce is located near the BBQ sauces. 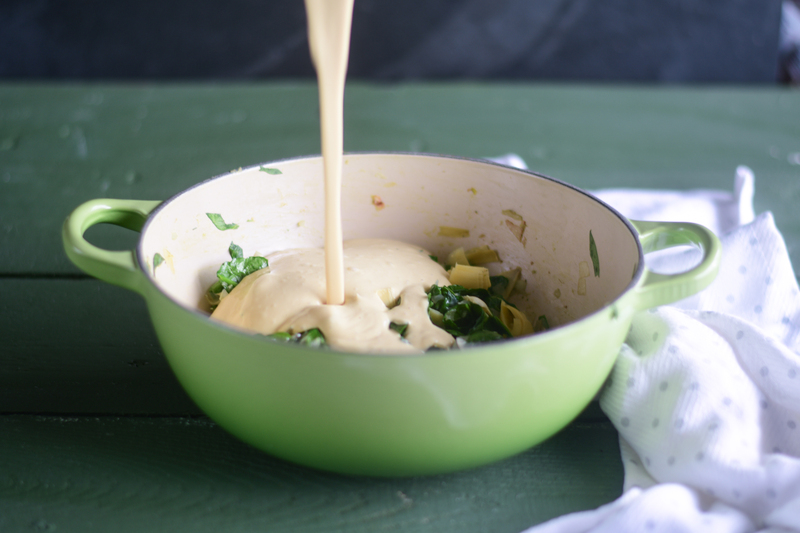 I love adding a touch of heat to this Baked Spinach and Artichoke Dip. The TABASCO® brand Original Red Sauce is made with just three ingredients: aged red peppers, salt and distilled vinegar. I love how simple the ingredient list is on this hot sauce. Its simple ingredients make it one of the most versatile hot sauce that can be added to just about any food or drink. 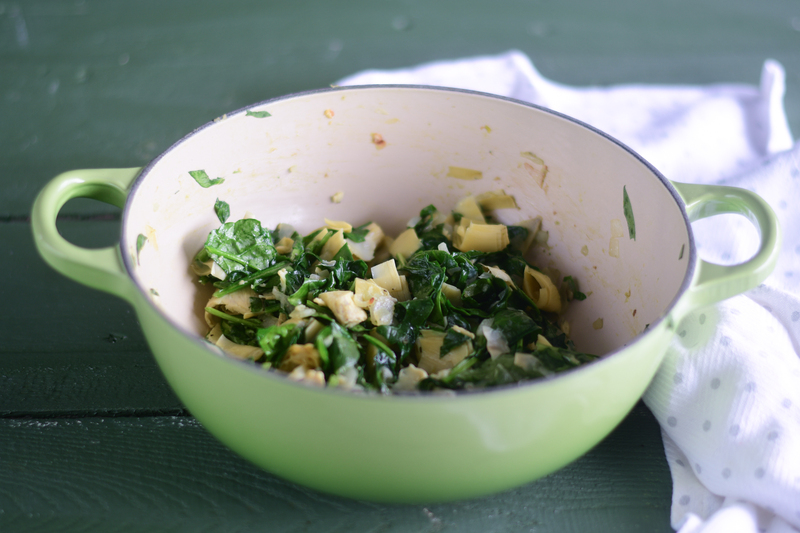 This Baked Spinach and Artichoke Dip starts with sautéing onion and garlic. 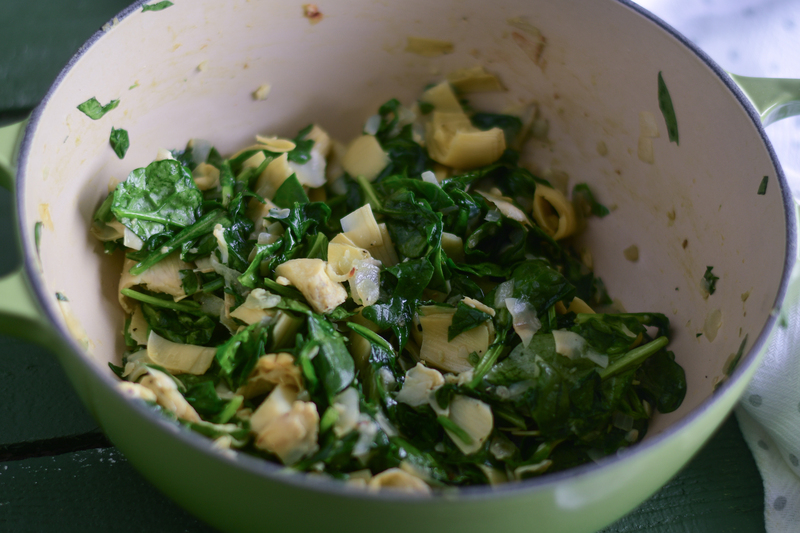 Lots of fresh spinach and artichoke hearts are added. The combination is such a classic! This dip also happens to be dairy-free. 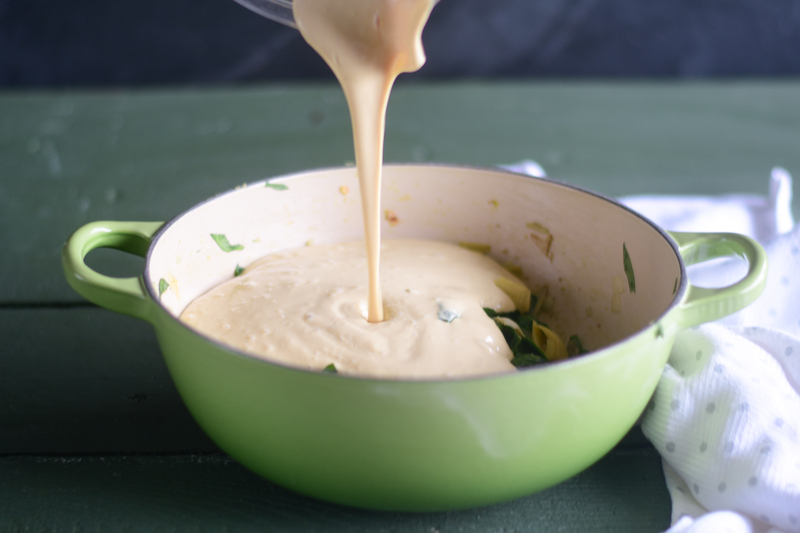 Vegan cream cheese and tofu create an ultra creamy dip without adding any dairy. Perfect for any guests that might have an allergy. For an added cheesy flavor, lots of nutritional yeast is added. 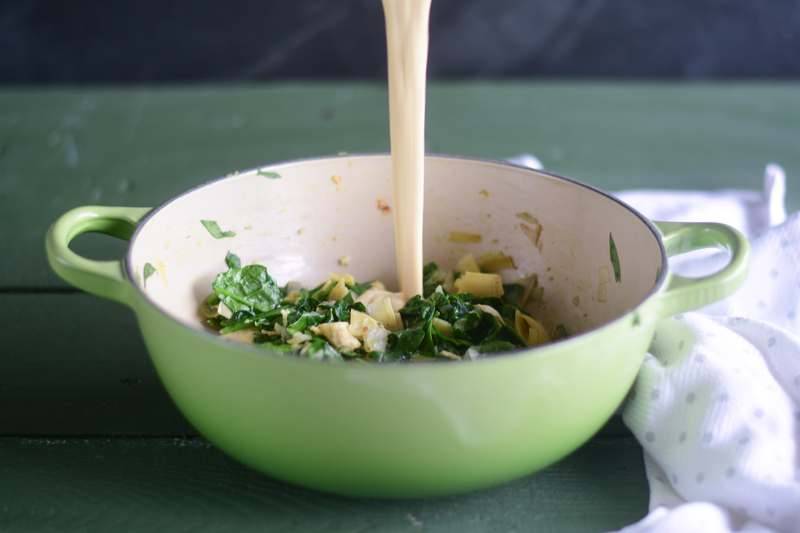 Spinach and artichokes are such a classic combination. The TABASCO® brand Original Red Sauce adds an extra layer of flavor to the dip. 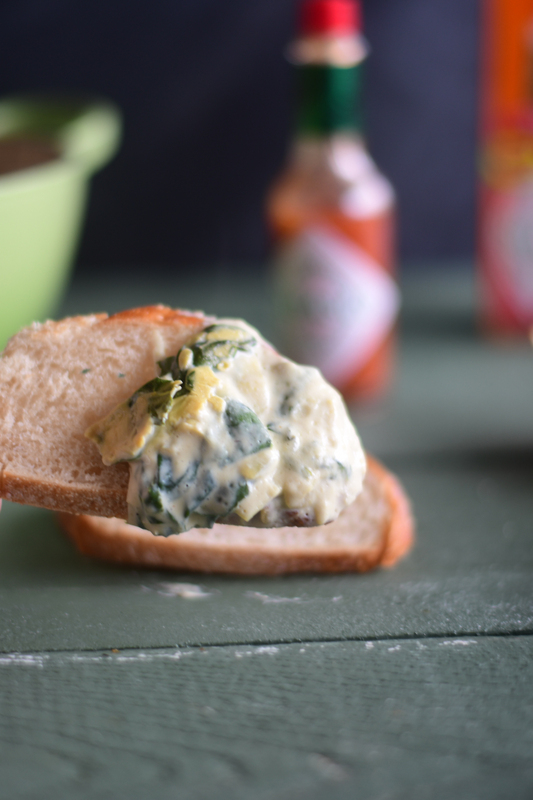 It takes this Baked Spinach and Artichoke Dip to the next level! 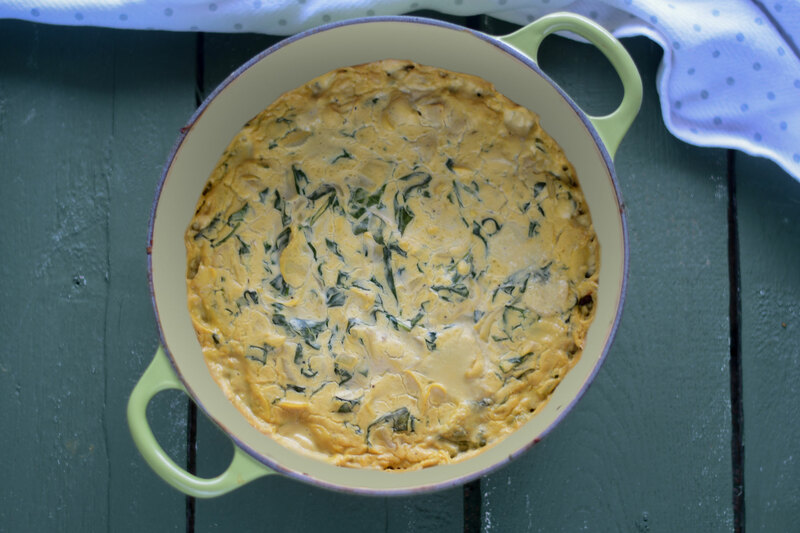 This Baked Spinach and Artichoke Dip would be perfect for your next holiday party or game day. I love serving the dip with toasted bread and tortilla chips. 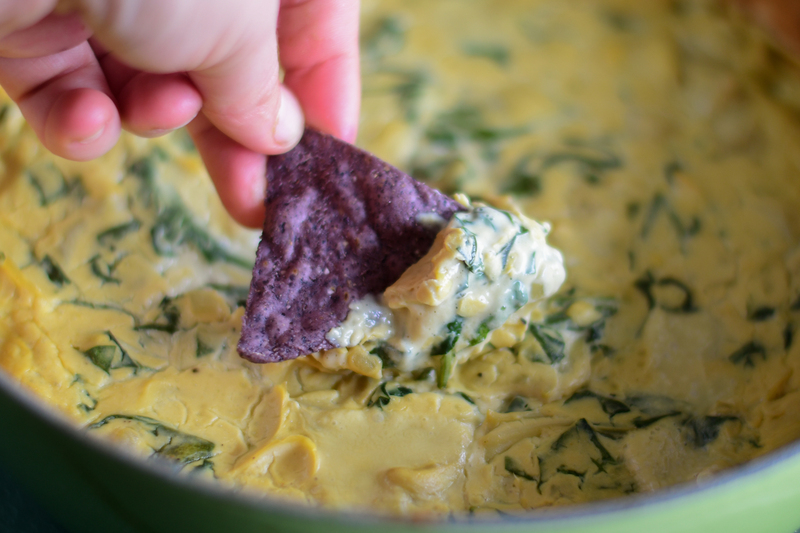 This dip is always a crowd pleaser! 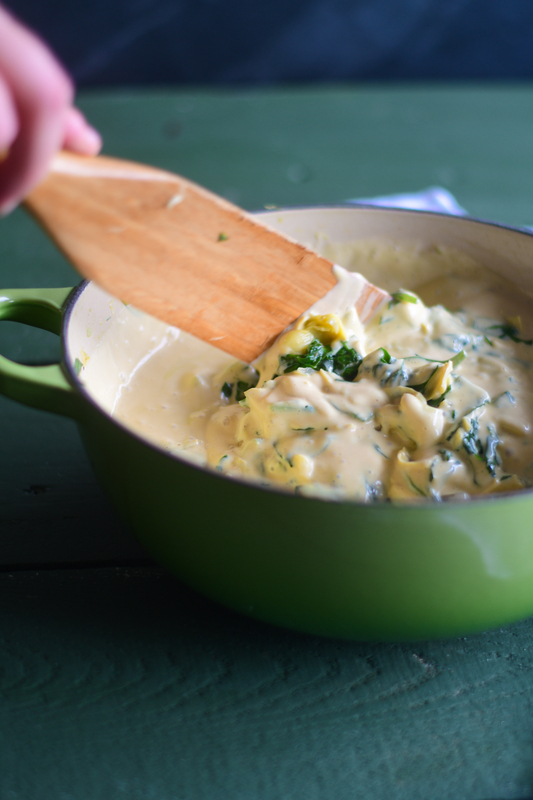 A creamy baked spinach and artichoke dip with a kick. Great for entertaining! n a skillet heat the oil over medium high heat. Add the onion, cook until softened, 4-6 minutes. Add in the chopped artichokes and spinach. Cook just until the spinach is wilted, 4-5 minutes. Meanwhile, in a high speed blender add the vegan cream cheese, tofu, nutritional yeast, lemon juice, TABASCO® and salt. Taste and adjust seasonings. Add more salt if necessary. Pour the blended mixture into the artichokes and spinach. Stir. Transfer to a casserole dish. Bake for 25-30 minutes, or until the top is lightly golden and bubbling. In addition, Ibotta currently has an offer to get $1 off any flavor 5 ounces or larger!